The insider advice on this page is from one of Wendy’s Trusted Travel Experts for Cambodia, Laos, and Vietnam: Andy Booth. 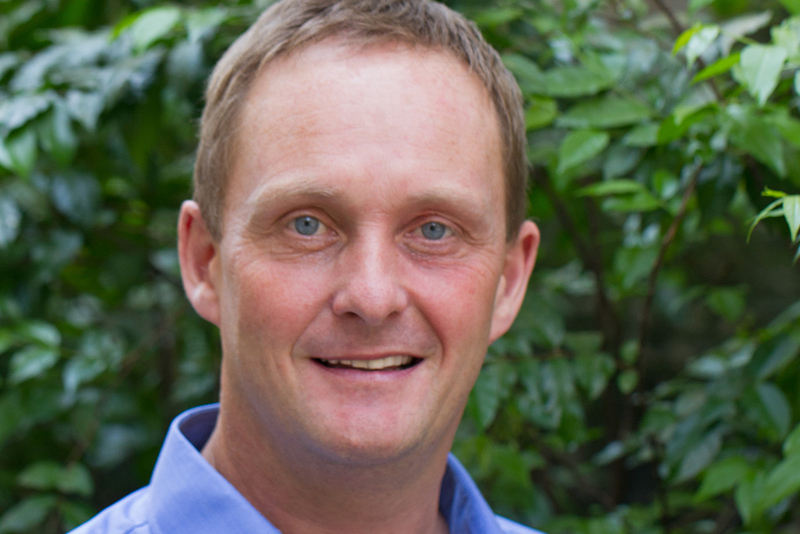 An Oxford-trained scientist, Andy Booth traded London for Siem Reap almost 15 years ago, intending to improve Cambodia’s educational system; the best way to earn funds to do so, he decided, was via the country’s burgeoning tourism industry. 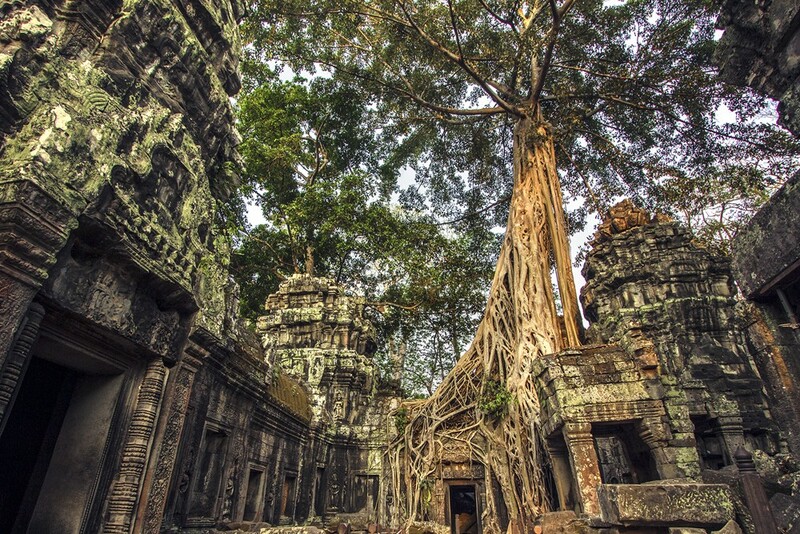 Approaching travel planning scientifically, he began doing surveys to measure minute-by-minute tourist flow around the Angkorian ruins, using the data to calculate the timing and routing that would make for the least congested experience. Today, his Siem-Reap-based company has delivered crowd-free experiences to thousands of travelers, and 100% of profits are plowed into local education. 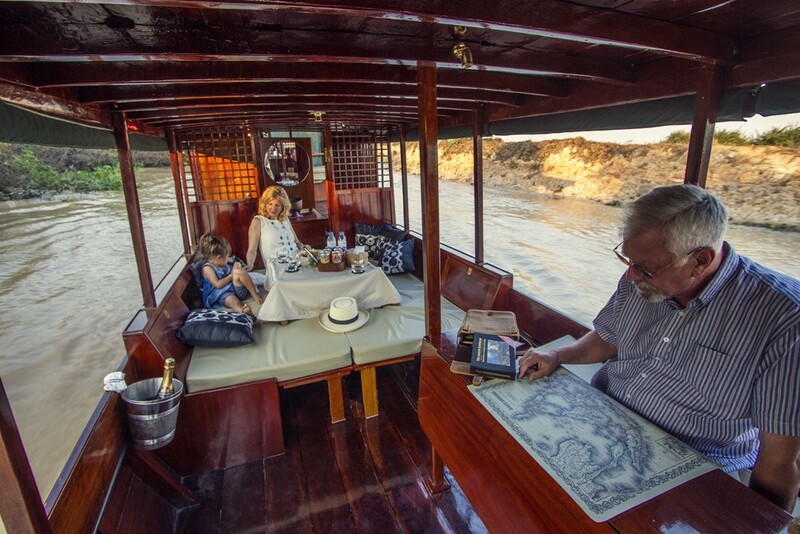 When Andy is away from the office sussing out the hidden pockets of Cambodia, Laos, and Vietnam in order to create imaginative new itineraries for travelers, his deputy, Joshua Clayton, can ensure that travelers sent by Wendy receive the deeply authentic experiences they crave. Andy and Josh help travelers connect not just with friendly locals but also with prominent academics and scientists who are leading excavations in the area. Andy also holds the post of British Honorary Consul and wrote the well-regarded Angkor Guidebook, a coffee-table-worthy tome. Trips start at $400 per day for two travelers. Sunset atop Phnom Bakheng. Rather than pushing and shoving to catch a photograph through a crowd of chattering tourists, try floating along an ancient waterway with a gin and tonic in hand; the tail end of a day should be a peaceful time for reflection. The boat trips on Tonlé Sap Lake that leave from Chong Kneas are known to feel packaged, and in peak times there are more tourists than locals in the floating villages. 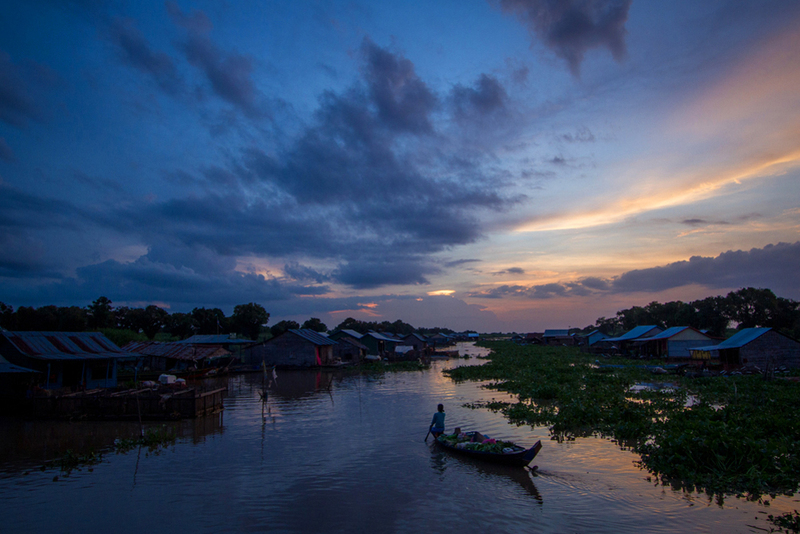 But Tonlé Sap seen with the right boat from the right spot is a magical and photogenic place not to be missed. That’s why we built our own classic day boat, the Ella, all shiny wood and brass, which is available for private hire by the half-day. We keep it in Mechrey, a local fishing village that sees virtually no tourism. 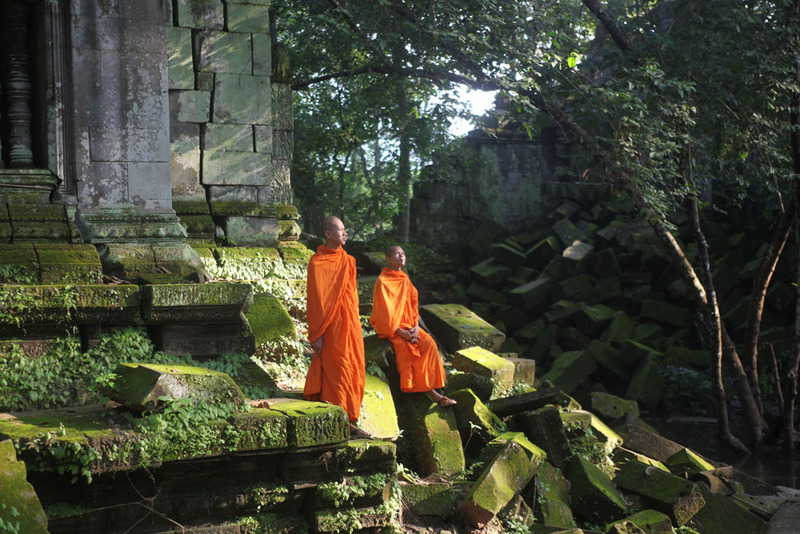 The Cambodian countryside is very often ignored by visitors who fixate on the ancient Angkorian temples. 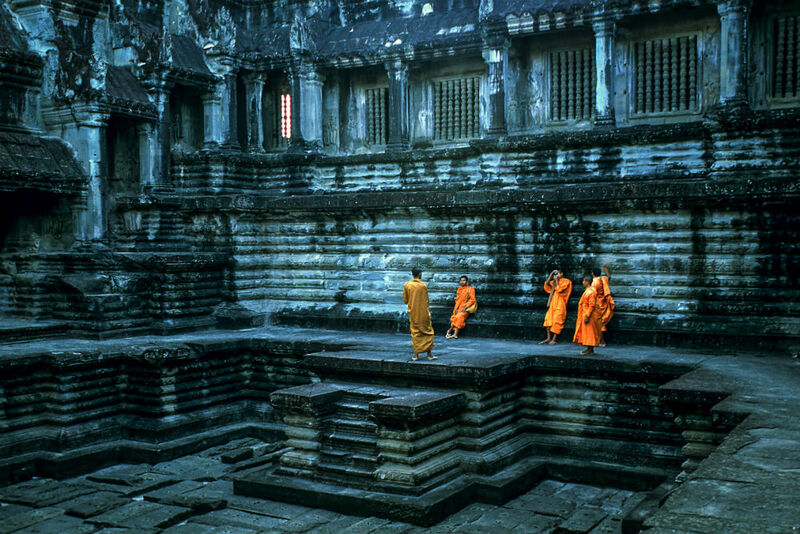 There are places to visit just a few minutes from Angkor Wat where the rural landscape has not changed for a thousand years: Masses gather to inspect carved bas-reliefs of pastoral activities in the galleries of the Bayon, but few realize that they can see these images in real life just up the road. Play golf (equally appealing any other day of the week, as well). Siem Reap’s three award-winning courses are beautiful and challenging; the Faldo course at Angkor Resort is especially fine, with truly world-class practice facilities and a welcoming staff. The market and fun fair on 60 meter road to the east of the Angkor ticket booth. The whole spectacle sets up each afternoon and is buzzing with food and clothing stalls and fairground games (many built out of jury-rigged toys and other household items), and usually not a barang (Khmer for foreigner) in sight. 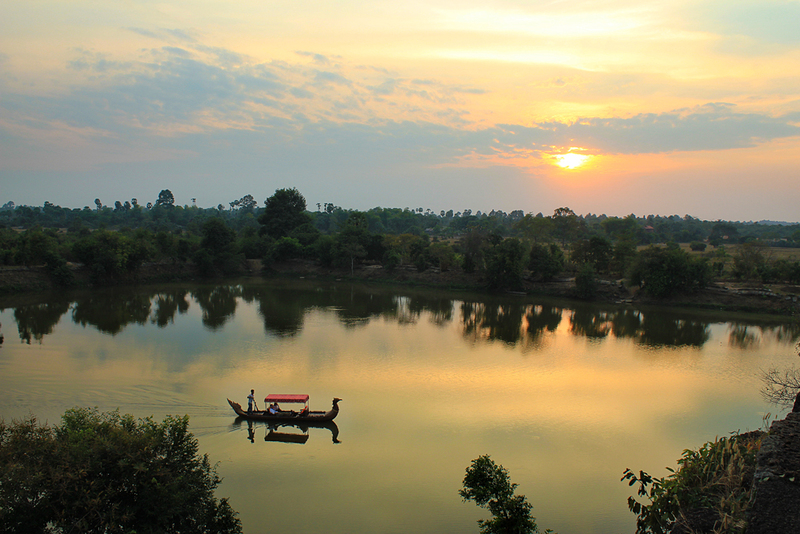 Take one of our boats across the West Baray, an ancient reservoir near Angkor Thom, then walk through the charming and unspoiled farming village of Kork Tnout (literally, Island of Sugar Palms) to reach Villa Chandara, which we open to an exclusive group of diners each night. 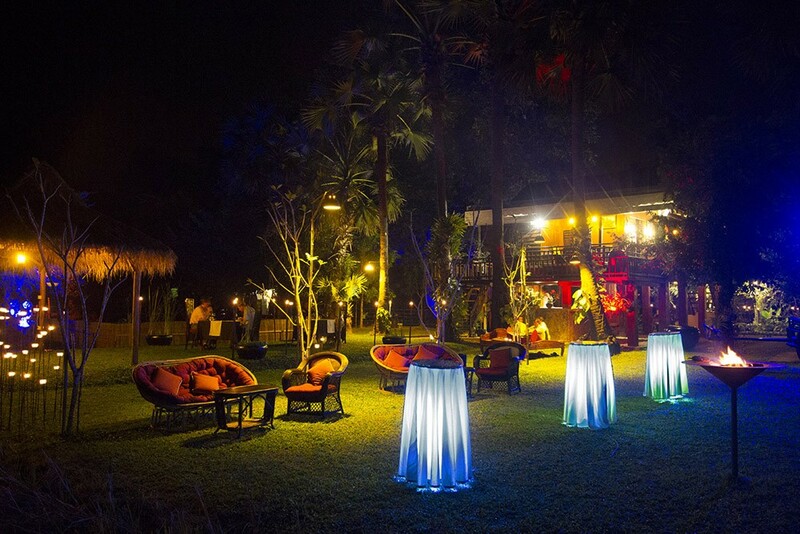 Illuminated by candlelight and oil lamps and surrounded by rice paddies, settle in for an evening of free-flowing drinks and an 11-dish celebratory Khmer menu with other invited guests: ambassadors and rock stars mix with writers and professors. For the ultimate V.I.P. experience, you can take over the entire restaurant for a dinner conversation with Dr. Damian Evans, the leading academic at Angkor, and a private performance by Phare, Cambodia’s version of Cirque du Soleil. For the most genuine colonial feel, stay at the Raffles Grand Hotel d’Angkor. But instead of booking the most basic State Rooms, which are located in a modern wing of the hotel, book the Landmark Rooms, in the original heritage building. For the most authentic luxury Khmer experience, there’s the very swish Phum Baitang, in a parkland just outside town (Brad and Angelina rented out the whole place when it first opened), or Sala Lodges, where traditional wooden houses from all over the country have been re-erected, with all the mod-cons added. Phum Baitang has only been open since September 2015, so its introductory rates make it a particularly good value. At all of these properties, we can arrange for early check-in and late check-out. Many travelers—including myself—turn to TripAdvisor to find restaurants in an unfamiliar town. However, several of Siem Reap’s top-listed restaurants are more accomplished at marketing than cooking. Places that I personally recommend—and eat at regularly—include Charcoal, for genuine, un-westernized Khmer cuisine and the best steak in town (you’ll get a free martini if I send you); Abacus, for dependable French fare with a great host; and Cuisine Wat Damnak, for a tasting menu of award-winning dishes that mix Cambodian flavors and French techniques. Charcoal’s Khmer Discovery tasting menu offers bites of prahoc ktis (a dipping sauce that combines fermented fish, minced pork, and coconut milk—utterly delicious when made properly, as it is here), knoub (a fish curry cooked and served inside a banana leaf, created as an on-the-go lunch for farmers spending the day in the field during planting or harvesting), and other local delicacies. 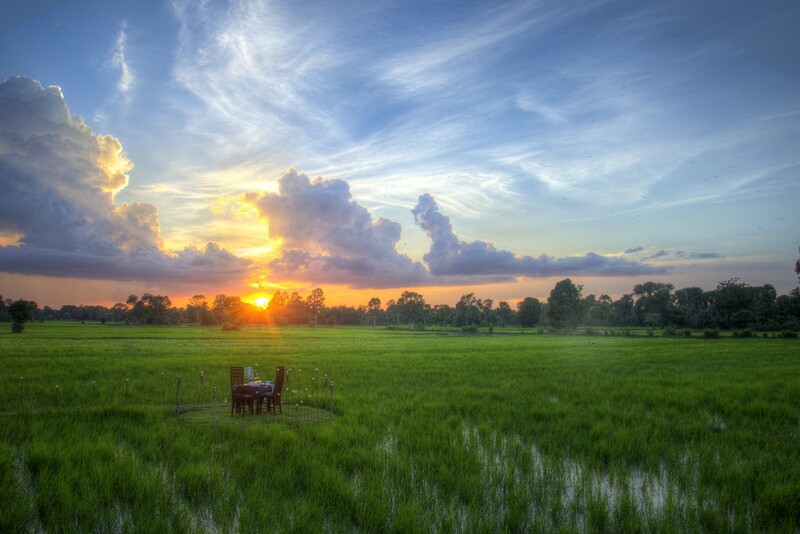 Our own Villa Chandara (see Bragging rights), for candlelit fine dining in the most unexpected setting, surrounded by rice paddies. The journey there is half the experience, as you travel by road, oxcart, boat, and on foot. The food is prepared by the staff from Charcoal (see Restaurants the locals love, and Dish to try). Cambodia’s weather is dominated by a monsoonal system of dry northerly winds between November and March, wetter winds from the Indian Ocean between May and September, and unsettled periods as the monsoons tussle for supremacy in April and October. Many a guidebook will recommend visiting Cambodia from November through March, but I tell my friends to visit between late May and early September, during the green season. Sure, it rains two days out of three, but the mornings are almost always sunny and bright, with rain clouds gathering toward the late afternoon; get out of bed early to explore when Cambodians are most active ahead of the midday heat, and you’ll enjoy far fewer crowds and vibrantly green rice paddies. 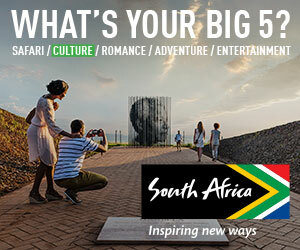 Plus, the money you save on shoulder-season hotel rates you can spend on massages, world-class golf, and fine food. If you must travel with the busloads of Chinese and Korean tourists in the cooler dry season, try to do so during the first two weeks of December for far fewer crowds and great hotel deals. The heat in April and May isn’t quite bad enough to “melt a brass doorknob,” but it’d probably get mushy. If crowds drive you nuts, avoid the New Year and Chinese New Year periods. Trying to do too much, both in a single day and a single trip. Getting from one place to the next can often take a full day. You will experience more by trying to see less. Leave some time unscheduled; the most memorable moments arrive when you are sitting on a temple stone, motionless, watching some boy lead his buffaloes out to graze, or in conversation with a monk. The globe of the sun dipping into the Tonlé Sap from the roof of Ella (see Most Underrated Experience). A bowl by the leading lacquerware artisan Eric Stocker, which you can purchase at his uncommercial workshop on the outskirts of town. For years, the United Nations has sponsored Eric to train local craftspeople, re-teaching an ancient technique that was nearly lost. Resist getting to the airport too early for your onward flight; the airport in Siem Reap is close to town and small, with little to entertain you. Tips are an important source of income for drivers and guides and should be considered, but only when the service provided is above and beyond the call of duty. In that case, I suggest $15–$20 per day for a guide, $3–$5 per day for a driver (both per group, not per traveler). A waterproof plastic bag to shove your expensive DSLR into in case the heavens open. A Polaroid camera is a guaranteed way to break the ice with villagers—give them a photograph of themselves!